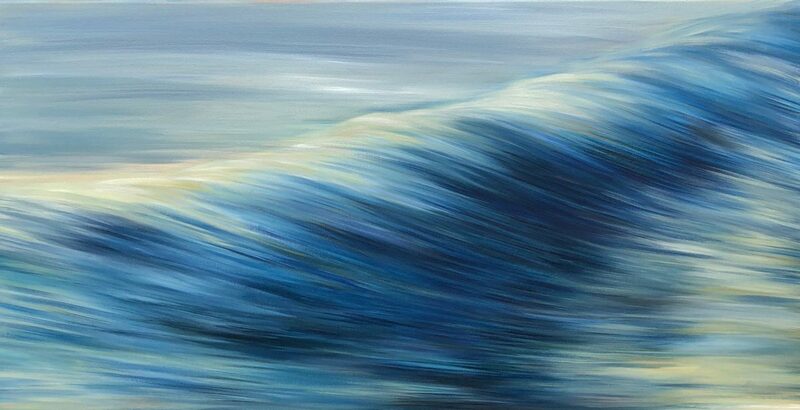 My latest painting “Blue River II” is inspired by the rivers around Dartmoor. 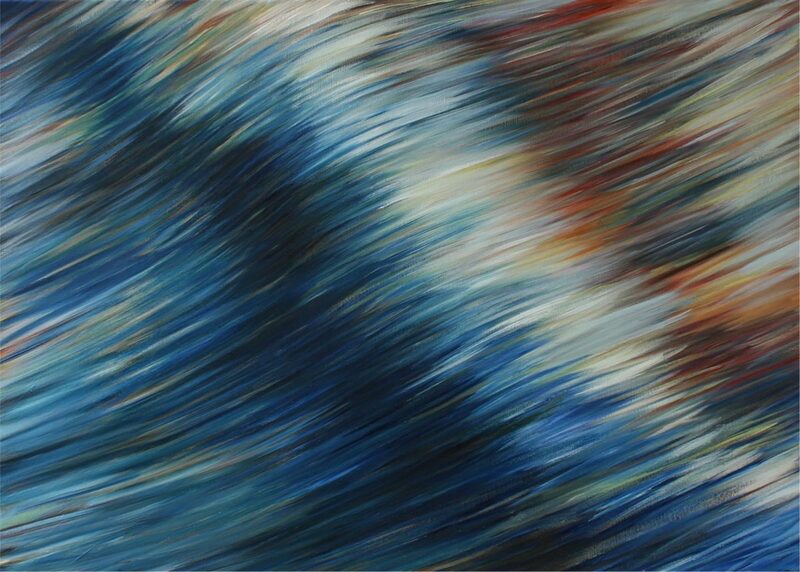 This work shows evening sunlight is hitting a fast flowing blue river. The time of day is key here. It is very late in the day, the light is turning golden. The highlights become a mixture of yellows, ochre, oranges, and reds contrasting with the deep blue and purple shadows in the water. Working in oils suits me best as they are so versatile. At the moment I am interested in long exposure images of water and this piece is another in a series of paintings looking at the way images are altered using this photographic technique. I like the idea of taking it to another medium and exploring the results. I graduated with a BA (Hons) in Fine Art in 2008 at the University of Plymouth. My exhibitions have been throughout Devon and one of my films was been exhibited at the South Bank, London and in Italy. I am a Teignmouth based artist.